A short statement was released on Sunday on the school’s Facebook social media page. 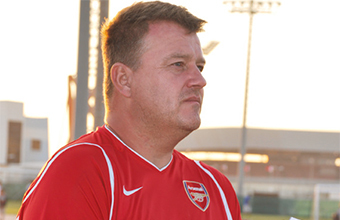 Shipwright played a major role in the development of Arsenal Soccer Schools, both in the UK and internationally, and joined Bahrain-based International Business Group, chaired by Abdul Wahed Al Kooheji, to oversee a regional expansion programme. 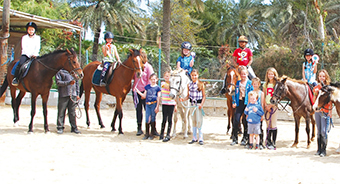 The school in Bahrain, based at Soccer City in Janabiya, continues to attract hundreds of students of all ages. Plans to open a similar school in neighbouring Saudi Arabia, however, appear to have stalled. 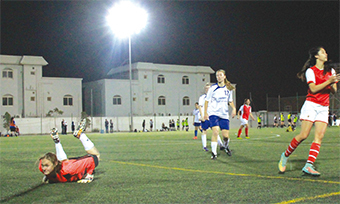 Shipwright married Bahrain women’s international midfielder Rahman in 2012. She said they had made ‘fantastic friends’ here over the past five years and would be ‘staying in Bahrain’. Other senior coaches, including Shipwright’s son Liam, will continue coaching at the school, the Facebook page added.